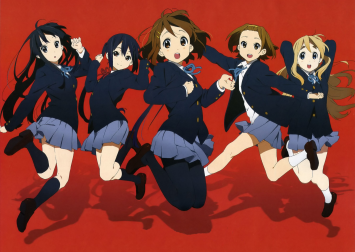 So, Madman Entertainment has announced the license of the K-ON! movie for distribution in Australia, to my knowledge the first license of the movie to an English speaking market. According to the announcement, the film will screen at the Japan Film Festival this December in Sydney and Melbourne, with a home video release to follow in 2013. The question remains, how much longer will it be before a similar announcement is made from a North American distributor? This gives hope for a North American release. At least I hope it gives hope. Double exclamation marks left intact, collector's box, movie screening and first to license the movie. God bless you Madman.